Tomorrow Sergio Marchionne will take the stage for his last major event as CEO of Fiat Chrysler Automobiles. And when he does, sources expect him to announce the constriction of both those brands in favor of more profitable model lines. According to Bloomberg, the departing chief executive may announce the withdrawal of the Fiat brand from the US, while confining the Chrysler brand to that same market. 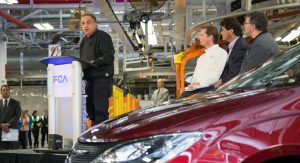 That’d mean the withdrawal of the Fiat 500 and its stablemates from the North American market, and of the Chrysler 300 and Pacifica from everywhere outside of their home market. Instead, FCA will focus its energies on luxury vehicles under the Alfa Romeo and Maserati brands, and on the more profitable trucks sold under the Jeep and Ram names. It could even consolidate Alfa and the Trident marque into a single unit (without ditching either brand) in preparation for a spin-off similar to what it already did with Ferrari. 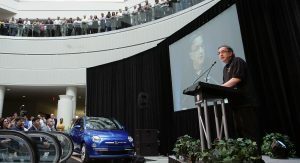 Marchionne spearheaded the acquisition the Chrysler Group’s acquisition in 2009, and wasted little time in leveraging its North American network to relaunch the Fiat brand here in 2010 with the arrival of the Mexican-built 500. It bolstered the little hatchback with the launch of the 500L minivan in 2013, the 500X crossover in 2014, and the 124 Spider (based on the Mazda MX-5 Miata) in 2016. However the Fiat brand’s fortunates have declined in recent years, from over 46,000 units sold in the US in 2014 to less than 26,500 last year. And sales have continued to drop over the first four months of this year. 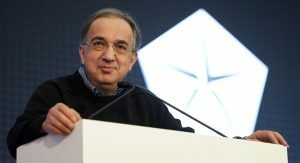 As important as Marchionne’s final act of consolidation will be the nomination of his successor. 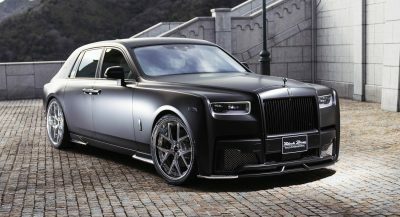 Sources expect a promotion from within, with CFO Richard Palmer, European chief Alfredo Altavilla, and Jeep head Mike Manley listed among the favorites. Sergio is slated to step down next year, by which time his successor will have to be announced. I think Marchionne is an absolute financial genius. But from the automotive point of view it did damage: Closing the Lancia, downsizing the Fiat, missing models for Alfa and Maserati. Chrisler’s next killer, Dodge… FCA has technologies, platforms and factories to work in different ways. They have looked to profit, they have not respected the glorious marks of their galaxy. Very sad for these notes although not yet confirmed. He’s not the financial genius many have portrayed him to be. He’s missed too many opportunities. Chrysler had a strong revenue stream. There was more financial potential in developing Chrysler into a proper near-luxury mainstream brand than the haphazard re-launch of Alfa into premium territory. After billions spent, Alfa has yet to produce a positive ROI. Most of the profits have come from Jeep and Ram, with some contribution from Dodge and Maserati. Even Fiat, with it’s worldwide sales network hasn’t given a decent return after investing in several new products -wrong products. 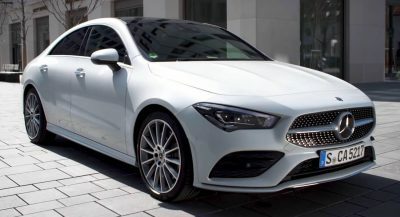 FCA’s financials would be much better, had Sergio launched the premium Chrysler 200C which was already ready for production when Fiat took over, rather than spending billions on developing a Fiat platform bottom-feeder with low margins -which flopped within three years. 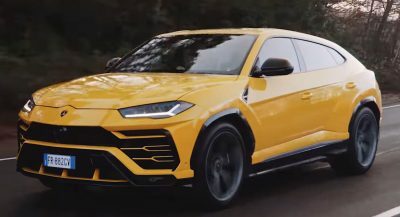 He deprived Chrysler of crossovers and SUVs when the market was demanding it. He is effectively killing Chrysler and Fiat with poor brand management. Fiat has lost close to 50% market share in most markets. In Europe loyal Fiat customers no longer find suitable product in Fiat stores, and leave because they don’t want a Jeep or Alfa. In the U.S. loyal Chrysler customers no longer find suitable product in Chrysler stores, and leave because they don’t want a Jeep or Fiat. Sergio had the brands and financial wherewithal to progressively build a great automobile company. He gambled it all by trying to resurrect Alfa overnight, at the expense of several other glorious marques. While he is not a financial genius, he does have good track record early in the beginning with how he handles Fiat, but when FCA was formed, that’s when the hell broke loose. The Alfa in my opinion is a success from product and sales view but of course you wouldn’t expect ROI to come so soon and it reminds us when Maserati launch their Ghibli and Levante, only to fall back next year in terms of sales. If I’m not mistaken that one is an EV? Maybe that’s what turn off Sergio, he needs to changed that into a regular car. I don’t think it’s ready for production though, I remember the interior is all very futuristic. 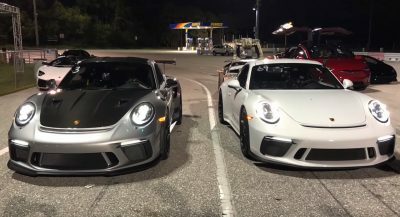 There was both an EV version and an ICE version planned. It was RWD and also AWD capable if demand for AWD was there. Target was Infinity, Audi, higher end Buick, etc..
Sergio thought it was too expensive -even though supply contracts had been signed and it was production ready. The interior of the production version was more realistic. He opted for restyling and rebadging the cheap Sebring instead. If he was a financial genius the company would not be sliding into oblivion. Unless of course you think a financial genius is someone who runs away with tons of money leaving devastation in his path. I just heard that Chrylser will go, not FIAT. Higher prices and lower quality than other imports, plus us oldsters who remember their previous Fit It Again Tony experience=Doom. Why not just support Chrysler with product that people want to buy? Instead let’s whittle it down to one excellent product and one way past its prime product (just like the Charger). In fact, why not just call it the Ram Pacifica and shut down Dodge and Chrysler since both have been massively mismanaged since 1998. Executives spend more time caring about frivolous matters like brands when their focus should be on product, product, product. because a Ram Pacifica sounds ridiculous. Chrysler sounds the classiest and that’s what people want. We like classy cars. How Ram even became its own brand, I’ll never understand. Kill off Ram, take Fiat back to Europe and just re-brand everything to a Dodge, Chrysler, or Jeep. Cough…sarcasm it was, young padawan learner. Ram as a brand was and is one of the most absurd decisions ever. It is indeed master Yoda. Just sell the whole FCA to VW! VW itself wouldn’t want to buty it I’m afraid. I can’t think of any automobile manufacturer that has damaged or destroyed more brands in their history, than Fiat. As far as i remember, Chrysler was already pulled from most everywhere else in 2010, holding out in the UK until 2015. They still have large presence in Middle East, China and Australia. Even they received 300 SRT that no longer offered in USA. The reason they disappear in Europe is the result of failed merge between Lancia/Chrysler. I know, but they used to have a much much larger presence globally. Australians just decided on the Chrysler 300 as their next police pursuit vehicle, as Holdens have gone out of production. It would be a foolish move to pull Chrysler. Plus pent up demand for large performance sedans after the Commodore is gone would be another missed opportunity for FCA. But missed opportunities seems to be Sergio’s middle name.. This guy needs to go out of the front door NOW! I’d toss him out the closest door or window..
To be fair Chrysler is quite popular in Middle East, shame that they don’t have enough models or specifically tailored variants for China, I bet they can sell plenty to country with little brand recognition like China. Pulling Fiat out of the US makes sense as it never really did well here. 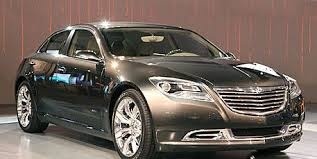 Chrysler being pulled out from other markets comes as no surprise. But Jeep is not a luxury brand, like Chrysler is, so it should have an SUV. But Jeep (and Dodge) can command luxury prices that no Chrysler currently can, so why is Chrysler even considered a luxury brand? If FCA pulls fiat from the USA that could give an oppourtunity for chinese automaker GAC who’s trying to enter the USA market in USA. Even though FCA doesn’t own GAC of course, it’s just speculation. 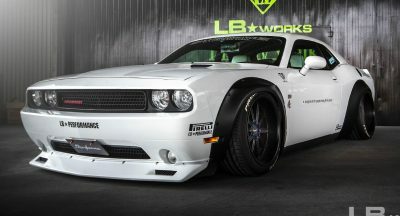 It’s time to put the Giorgio platform under the new 300 now that we know Chrysler is still alive. I couldn’t believe the terrible quality of the Fiat 500 when it was introduced in the U.S. I thought: THIS is what they’re opening with? That was eight years ago, and Fiat is still selling essentially the same crappy car, with slight tweaks. Talk about mismanagement. Get rid of it all and just make it Jeep/Ram. FCA builds the lowest quality with the lowest reliability in the industry. Nothing here will be missed.